Art and Museum Transportation Transportation Fine Art, Museum Exhibits Logistics"
Art and Museum Transportation is without saying unique unto itself. 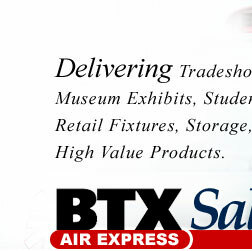 Here at BTX Salt Lake City / BTX we understand the sensitivity of Art and Exhibit handling along with the climate requirements with such unique properties. In the Art and Museum Transportation field there are few transportation companies that can offer climate controlled units, climate controlled storage for your art work and related pieces, or exclusivity of shipping when it comes to the need for security. All of our Art and Museum Transportation vehicles offer full logistics and decking if necessary. We can service any shipment ranging from single pieces of art to multiple truckloads. Our goal with your Art & Museum Transportation needs is to tailor our dates around your needs. We do not ask you to try and fit your needs and dates within our shipping schedule. You are the customer and we try our very best to make our shipping work for you. 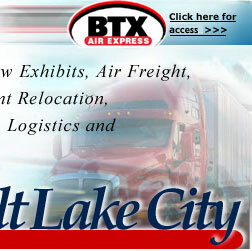 BTX Salt Lake City offers highly secured and Climate controlled Art Storage. All pieces of art are cataloged and inventoried for your security. Access is limited to your specifications and available at most hours of the day, most days of the week. Our Art and Museum Staff are on call 24 / 7 , Seven days a week. Since we reside in the Rocky Mountain region, we specialize in unique Art and Museum Transportation needs that require white glove service into the remote canyons of Sun Valley, Montana, Wyoming, Utah and the Northwest regions of the United States. We enjoy utilizing our small vans and trailers for such jobs. Simply ask for our Art and Museum specialist when you call in. © Copyright 2001 – 2006, BTX Salt Lake City Transportation Logistics Solutions. All rights reserved.